Our Price: $179.95 Best ( 70% OFF ) *Spring Sale! Progressive HD Digital Plus (polycarbonate) no-line bifocal lenses. Advanced Freeform HD digital technology lenses are the top-of-the-line offer. Superior design offers distortion free vision distance & near for easy adaption. Best for those who drive a lot, active or sensitive to any lens distortion, and want the widest field of vision throughout their lenses, for distance & near. All lenses include free scratch guard & UV protection, with perfect mounting into your frame. Adaption guarantee comes with these lenses. Every job is completed and verified by licensed opticians at our USA lab. Compared to: $529.00 retail. Don't forget anti-reflection (AR) coating treatment...just add to Cart before Check-out. -Design by SEIKO *We offer a worry-free redo if needed. Got my glasses today. They are great!!! communication, service, lens and price. I received the three pair of glasses that you worked on a few days ago. I am so very impressed with the final lenses. I don't think I have ever had such accuracy in my vision, so obviously I made the right decision in ordering the best lenses you offer. I will continue to use your company when i need to have my prescription update. You have allowed me to continue using the frames that I like with a reasonable expense. I will also spread the word about your company and the excellent service you provide! 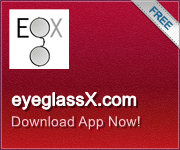 I have worn progressive lenses for years and this is the best! No distortion and a breeze to wear.